Collagistas Festival is a celebration of contemporary collage. 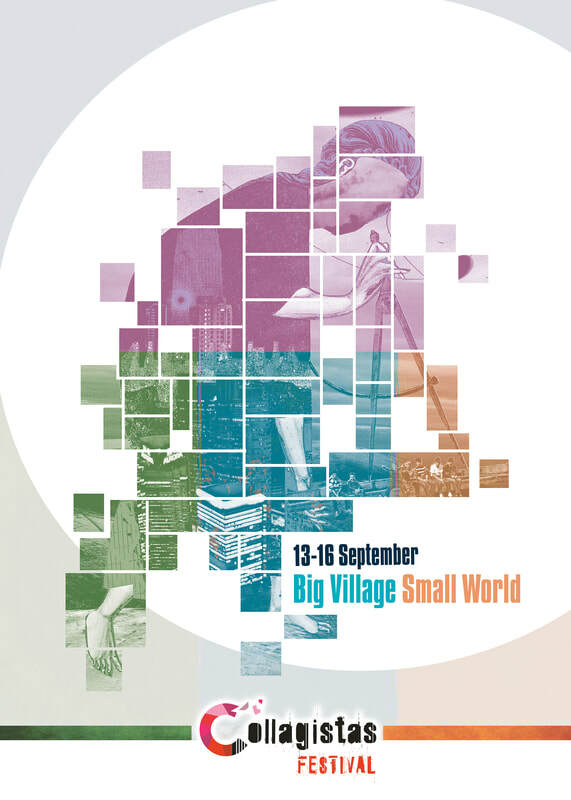 Our primary purpose is to create an opportunity where collage artists from all over the world can come together to share ideas and thoughts about their collage practise and to disseminate this information through workshops and presentations. We provide a platfom to explore and discuss how collage is made and the role of collage in contemporary visual culture. We do this through the organisation of an annual exhibition and the facilitation of workshops and presentations. Our aim is also to engage the general public and the wider art community in these discussions. Our principle objectives are to maintain an international network of collage artists and to bring collage to a wider audience. Year on year interest, participation and attendance has grown. It is important that the participating artists commit to attending the event. This commitment has contributed to the success of our Festival and is what sets us apart. We are growing into a dynamic, committed group and this is reflected in the annual exhibition and events. Public interested has also grown with the workshops and the presentations proving very popular and successful. Collagistas Festival ≠5 will be held in Dublin, from 13th - 16th of September 2018 at Temple Bar Gallery + Studios (www.templebargallery.com) and will be better and most interactive to date.